*The views expressed in this article are those of the author and do not necessarily reflect the views of the Ministry of Foreign Affairs of the Republic of Turkey. Turkey’s relations with Africa have gained new impetus recently as a result of Turkey’s multi-faceted foreign policy and the Continent’s growing importance in the 21st century. As the successor to an Afro-Eurasian state, Turkey has always retained close political, economic, and cultural ties with the Northern part of the Continent. Gradually, increasing and deepening its relations with the Sub-Saharan Africa became one of the main targets of Turkey’s foreign policy objectives. By adopting the Action Plan for Africa in 1998, Turkey’s interest toward Africa has increased immensely. During the period following the declaration 2005 as the Year of Africa, Turkey opened a new page in its relations with the Continent and put more emphasis on economic, cultural and human dimensions as a part of its foreign policy orientation. Turkey has been given the observer status in the African Union in 2005. In 2008 African Union has accepted Turkey as a strategic partner of the Continent, which paved the way for more substantial relations. In the same year Turkey was accepted as one of the non-regional partners of African Development Bank. One of the hallmarks of Turkey’s strategy towards Africa consists of organizing, hosting, and participating in bilateral or multilateral meetings, conferences and summits. Some notable conferences Turkey hosted or co-organized in İstanbul include the Turkey-Africa Cooperation Summit in 2008, the High-Level Officials Meeting in 2010, the Ministerial Level Reviewing Conference in 2011. The Second Turkey-Africa Partnership Summit was held in Malabo in 2014. In terms of multilateral gatherings, Turkey hosted the Fourth United Nations Conference on the Least Developed Countries, in Istanbul on 9-13 May 2011 and organized the Mid-Term Review Conference of the Istanbul Programme of Action on 27-29 May 2016. In addition, Turkey co-chaired with Egypt “International Donor’s Conference for the Reconstruction and Development of Darfur” in Cairo, on 21 March 2010 and hosted twice the Istanbul Somalia Conferences organized within the UN framework on 21-23 May 2010 and 31 May-1 June 2012 consequently. In the framework of its G20 Presidency, Turkey organized the High Level Conference on Access to Energy in Sub-Saharan Africa on 1 October 2015. Turkey was also the host country to the sixth High Level Partnership Forum for Somalia on 23-24 February 2016. Enlarging its level of representation constitutes another important pillar of Turkey’s new strategy towards Africa. In 2009 Turkey had only12 Embassies on the Continent, 7 of which were in the Sub-Sahara region. Today, the total number of the Turkish Embassies in Africa has reached 39. The number of trade offices also reached 26 in the Continent. During that period, Turkey’s soft power instruments such as the Turkish International Cooperation and Development Agency (TİKA) as well as the Turkish Airlines (THY) have enhanced Turkey’s existence in the Continent. TİKA has opened new offices in Africa and currently has 15 coordination offices in Africa, including the one in Hargeisa, Somaliland. It has also intensified and increased its humanitarian, technical, and developmental assistance to Africa in fields such as education, health, agriculture, infrastructure and capacity-building. In addition to TİKA and other Turkish institutions, Turkey provides assistance to the Continent through international organizations. Turkish airlines, being one of the most preferred leading European air carriers with a global network coverage is currently flying to 48 destinations in Africa. The number of African students studying in various Turkish Universities, through scholarships provided by the Turkish Government is increasing every year. In this process, to develop its relations with African countries on a more concrete basis, Turkey gives utmost importance to concluding bilateral agreements, establishing business councils and joint Economic Commission mechanisms. Every day, the number of Turkish investors and businessmen in Africa is increasing. Turkish brands are growing in popularity on the Continent. Turkish companies are actively taking part in African markets and they offer high-quality Turkish goods that are among the most coveted on the Continent. A positive impact of this process can also be seen on the trade volume figures between Turkey and the Continent as a whole. In this respect, while Turkey’s trade volume with Africa was only 5.47 billion Dollars in 2003, in 2015 Turkey’s total trade volume with the Continent has exceeded the amount of 17.5 billion Dollars, representing a threefold increase in this period. Today, Turkey’s policy of opening to Africa has been completed and transformed into a partnership relation. As an element of Turkey’s policy of opening up to Africa, I was tasked with the duty of opening the first ever Turkish Embassy in Mozambique. Without mentioning the physical difficulties of opening an Embassy in an African country, in this article I will try to share my experiences as the first Turkish Ambassador in Maputo, as a person who observed, and experienced the transformation period of Turkey’s opening up policy towards Africa to a partnership that gradually deepened, by taking Mozambique as a sample case. In what follows, I provide a brief overview of Mozambique, before sharing my observations about the country. During the eighth century Arab merchants reached the south eastern costs of Africa. In 1498, the Portuguese sailor and an explorer Vasco da Gama’s fleet reached the Eastern coast of Africa, which was at the time dominated by Muslim traders, and later colonized by Portugal in 1505. By 1510, the Portuguese had control of all of the former Arab sultanates on the east African coast. By the end of the First World War, colonial control is established over the whole of Portuguese East Africa. Portugal designated Mozambique an overseas territory in 1951. During the years following the Second World War, thousands of Portuguese settlers immigrated into Mozambique to take advantage of opportunities of the colonial economy. During that period, the Salazar regime was ruling Portugal. While these developments were taking place, a team in exile headed by Eduardo Mondlane formed a group in 1962 in Dar es Salaam, and adopted their name as the Mozambique Liberation Front (Frente de Libertação de Moçambique/Frelimo). Frelimo began its campaign in northern Mozambique in 1964, launching a ten year bitter struggle and fought for the independence of the Portuguese Overseas Province of Mozambique. One year after the assassination of Eduardo Mondlane, Samora Machel, a pragmatic military commander, became head of Frelimo. The fight for independence lasted eleven years. Meanwhile in Portugal, the junior army officers swept away a four-decade dictatorship, which at the same time signaled the end of Portuguese colonial rule in Africa. Almost one year after the Carnation Revolution in Lisbon, negotiations with the Portuguese administration resulted in an agreement and the Lusaka Accord was signed on September 7, 1974, which provided for a complete hand-over of power to the Frelimo party. Mozambique succeeded in achieving independence on June 25, 1975 and Samora Machel became the first President. Two years later, at the Frelimo’s 3rd Congress, the party declared itself as a Marxist–Leninist political party and Mozambique a one-party state. Mozambique Resistance Movement (Resistencia Nacional Mocambicana/Renamo) on the other hand, was formed in 1976, as an anti-Communist rebel group backed by neighboring white minority regimes. Renamo opposed the central Government and the Mozambican Civil War began in 1977, two years after the end of the war of independence, affecting the lives of millions. The fighting ended in 1992 with the signing of the Rome General Peace Accord. Mozambique abandoned its Marxist stance after the end of the civil war. Burdens of maintaining the war and the damage wrought on Mozambique’s economy and infrastructure were severe. As a result of these difficulties and the discrediting of Communism following the collapse of the Soviet Union, the Frelimo Government decided to enact political and economic liberalization. This was achieved through a new constitution that signaled a shift to a multi-party system. The first elections were held in 1994. Frelimo won all the elections in the history of Mozambique and Renamo remained as the main opposition party. After adopting the market economy the Frelimo Government has begun intensive work for improving the investment environment and rebuilding Mozambique’s economic infrastructure. The Republic of Mozambique is situated on the southeast coast of Africa and enjoys a privileged strategic location with its 2750 km long coastline. Its harbors constitute natural gateways for its landlocked neighbors Zambia, Zimbabwe, Swaziland, Malawi, and the Northern part of the Republic of South Africa, thereby connecting these countries to the sea. Mozambique facilitates easy access to the markets of SADC member countries. The country has three main harbors namely, Maputo in the south, Beira at the center and Nacala in the north, as well as five international airports. In addition to civil war, Mozambique has long suffered from famine and diseases. More than half of the population lives in rural areas; a large majority of its citizens do not have access to clean water, and cannot benefit from the education and health services. Mozambique, with its damaged infrastructure as a result of the civil war, a fragile economy that suffers from devastating floods as well as drought, as a country most vulnerable to climate change, and struggling with infectious diseases such as HIV/AIDS and malaria, is among the least developed countries in the world. However, against all these negativities, Mozambique has started to grow rapidly after its civil war. The Government embarked on a series of macroeconomic reforms designed to stabilize the economy and encouraged foreign investments. Its average annual economic growth rate reached 7-8 percent. Mozambique has become the fastest growing economy in the Sub-Saharan Africa region, without depending on oil. Mozambique is seen by donors as a success story of post civil war reconstruction and economic reform. The country has benefited from debt relief initiatives and its development partners have substantially contributed to the budget of Mozambique. The country has abundant natural and hydro-resources as well as large mineral deposits such as iron ore, gold, bauxite, graphite, marble, limestone, and tantalite. However the discovery and exploitation of these resources have been constrained by the civil war, poor infrastructure, and economic difficulties. Until recently aluminum was one of the main sources of income for the country. The Mozal aluminum smelter that was opened in 2000, in Matola near the capital Maputo, became the country’s only mega foreign investment project as aluminum became the most valuable export item. Nevertheless, due to low global prices, aluminum exports did not provide sufficient benefit to the economy. However, with the recent discovery of large natural gas fields in the Rovuma basin and coal in the Tete region, Mozambique has become one of the most promising countries in Africa in terms of natural gas and coal resources. Africa’s second largest hydropower plant Cahora Bassa is located in Mozambique. Coal deposits at the central part of the country and natural gas explorations at Rovuma basin in the northern part give hope for brighter days to the citizens of Mozambique. The amount of high-quality coal discovered in Benga and Moatize situated near the city of Tete reaches 28 billion tons. The quantity of natural gas explored so far in the northern Rovuma sedimentary basin of the country reaches around 7.5 trillion cubic meters. Some reports mention that Mozambique has the world’s one of the richest natural gas reserves and predicts that if Mozambique starts producing liquefied natural gas (LNG) in 2020 and begins selling it by 2022 as projected, Mozambique will become the third largest LNG exporters in the world. As a result of these developments, Mozambique has quickly become a center of attraction for foreigners and foreign direct investment started to flow in the country. Major companies of many countries have emerged in Mozambican markets and have increasingly started to invest, especially in mining ventures. Although Mozambique has vast areas of arable land, only 10-15 percent of its cultivable land is being used for agriculture. So, the country needs investment in agricultural field and agricultural modernization. Besides, having a long coastline and fresh water of 13.000 km. square, 1200 different species of fish inhabit Mozambique’s exclusive economic zone and rivers of 586 thousand square kilometers size. The climate of the country is well-suited for fishery. Moreover, with its long coastline, sandy beaches, and tropical islands Mozambique has a great tourism potential. The Island of Mozambique (Ilha de Moçambique) one of the fastest growing tourist destinations of the country is registered on the UNESCO World Heritage site. Turkey was one of the first countries that recognized Mozambique just after its independence and has been maintaining good relations with Mozambique. However, the extent of the cooperation between the two countries remained much below its real potential. The opening of the Turkish Embassy in Maputo has coincided with the beginning of the period of great progress in Mozambique. In March 2011, when I arrived in Maputo for the purpose of launching a new Embassy, the deleterious effects of the civil war were still visible on the streets of Maputo. However, day-by-day, we noticed an incredible economic transformation, first on the roads, then the quality of construction, goods sold in the markets, and a rise in internet service providers etc. Concomitant to these developments, by the opening of the new Turkish Embassy, relations between the two countries gained such pace that Turkey became one of the main foreign actors in the country, where it had once been relatively unknown to Mozambicans. Just to give few examples, the two countries have been diligently working on concluding more than 20 agreements in various fields; some have already been signed and many others are ready to be concluded soon. In May 2014, three military ships of the Turkish navy visited the Port of Maputo, which was an indication that Turkey attaches great importance to the development of its military relations with Mozambique. The Turkish Deputy Minister of Economy has visited Mozambique twice in 2015. In the same year the first Business Forum on the Construction Sector was organized in Maputo with the participation of 15 prominent Turkish construction companies. During the Forum, an agreement was signed for the establishment of the Turkish-Mozambican Business Council. In August 2015, 20 Turkish companies from various sectors such as energy, food, and electrical appliances have participated at the national level in the Maputo International Fair/ FACIM. In February 2016, a delegation from the Ankara Chamber of Industry has visited Mozambique. In this framework, 8 Turkish companies met their 42 Mozambican counterparts. In March, a delegation from the Istanbul Mineral and Metals Exporters’ Association visited Maputo. During this visit, 11 Turkish companies met more than 90 of their Mozambican counterparts. In April, 30 member companies of the Turkish Exporters Assembly met 120 Mozambican firms in Maputo. All these meetings have provided great opportunities for Turkish and Mozambican companies to share their views and experiences, and to take firsthand information, which paved the way for more enhanced cooperation and new partnerships. Some of the companies participating in the meetings have already taken concrete steps for establishing partnerships. Moreover, prominent Turkish companies from the energy and construction sectors, well known with their high quality of labor, trustworthiness, and punctuality, have opened their offices in Mozambique. Every day new Turkish companies arrive in Mozambique for the purposes of starting businesses or investment. While in 2003 trade volume between Turkey and Mozambique was only 5 million Dollars, in 2015 this figure reached 120 million Dollars. Turkish companies have taken their place among top ten countries in Mozambique according to investment applications received. The Turkish Cooperation and Development Agency/TİKA, extends assistance at different levels to Mozambican institutions and NGOs. On October 28, 2015 the Turkish Airlines has started scheduled flights between İstanbul and Maputo. This has significantly contributed to increasing the number of tourists and businessmen. Furthermore, with the organization of cultural events, remarkable progress has taken place in the cultural field as well. Last year, Ankara and Maputo became sister cities. Each year Turkey awards around 15 Government scholarships to Mozambique. Currently more than 80 Mozambican students are studying in various Turkish universities. With its policy of partnership, Turkey is entering even remote destinations in Sub-Saharan Africa as rather new, but strong and durable partner. It is for sure that Turkey’s new strategy of partnership policy towards Africa highly contributes to the development of the Continent. Those are some concrete examples of how Turkey’s opening up policy have evolved in Mozambique and gradually resulted in a partnership. Similar steps by Turkey were taken in other African countries as well. Depending on the local and international conditions, Turkey’s new partnership strategy yielded more effective results in some African countries, while less in others; but has always been progressive. 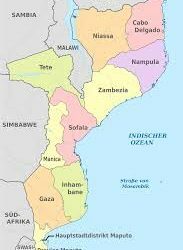 Mozambique today is facing some major challenges like continuous clashes inside the country, severe economic problems such as enormous amount of public debts, as well as undisclosed debts, depreciation of its currency, the Metical, against the Dollar, and high inflation rates. However, with its rich natural resources, great economic potential, and political will, Mozambique will soon be on the right track. During its journey of transition, Turkey, with its Government, NGO’s, and the private sector will accompany Mozambique as a strong and a reliable development partner. Indeed, the same applies for the whole Continent!